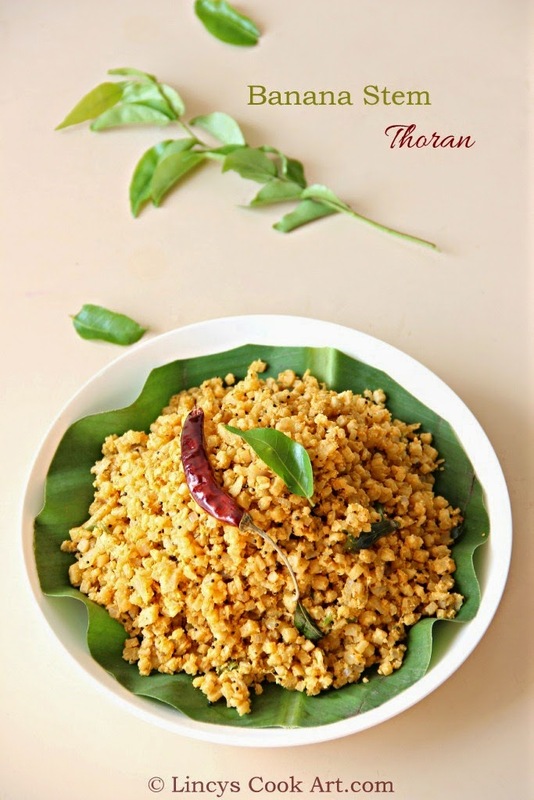 Vazhai pindi/ Vazhai thandu thoran is an easy to make tasty stir fry perfect for this summer. It gives cooling effect to the body. It is a good source of dietary fibre. Since it is high in fibre it acts as a laxative, and can ease constipation. Also Relieves ulcers, burning sensation and acidity. Banana Stem is rich in potassium and it can cure stomach pains. Pairs with any curry like Sambar/ Dhal/ Rasam. So an easy to prepare dish. Remove the fibre from the cut ends and soak in water, if you are not preparing it immediately, because then the stem tends to turn brown because of the phenolic substances. Cut the banana stem in to thin roundels and remove the fibre while cutting using your fingers. Roll them on your fingers and remove them and finely chop them. If you are not preparing immediately keep it inside the water to avoid browning. In a blender pulse coconut, chopped garlic and jeera and red chilli powder. Do not grind as fine paste. In a pan heat the oil and add mustard seeds when it splutters, add curry leaves. Add chopped onion and green chillies; cook till it becomes soft. Now add the chopped banana stem and salt and saute for a minute. Sprinkle little water and cover the pan with a lid and allow to cook for 3-5 minutes on low flame. Now open the lid and add turmeric and coconut mixture. Mix well and cook till the garlic smell from the masala leaves about a minute or two. Add more curry leaves if you like and switch off the gas. Vazhapindi thoran looks delicious love it. Fiber rich poriyal. looks very yummy. Looks so tempting. One of my fav and very healthy! Healthy thoran, well presented and looks delicious. nice healthy thoran. 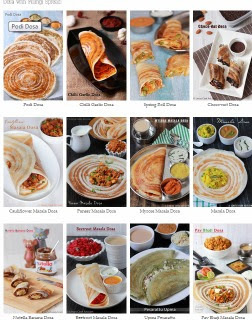 Looks yumm..Nice clicks..
THoran looks yummy and colorful ..Love to have it with some rasam rice . Wat a health thoran, an excellent side dish..